1 Lakeview Dr. is a lovely 3 story townhouse. 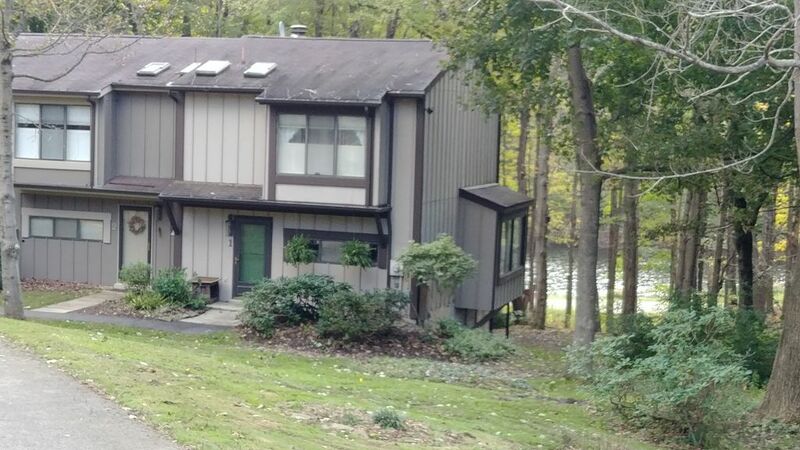 The main floor has a full sized kitchen and spacious living room surrounded with large windows for a perfect view of Lake Helen and Lake George, plus Hidden Valley's ski lodge and slopes. Grab your skis and walk right over to the resort! Upstairs has a master bedroom with a queen bed and two single rooms with twin beds and there is a bathroom. The basement has a complete bathroom, full sized laundry room and a spacious family room with plenty of light from the windows. Stay nice and warm during the winter with 2 clean, gas burning fireplaces, one in the living room and one in the family room. Be connected to friends and family via WiFi.